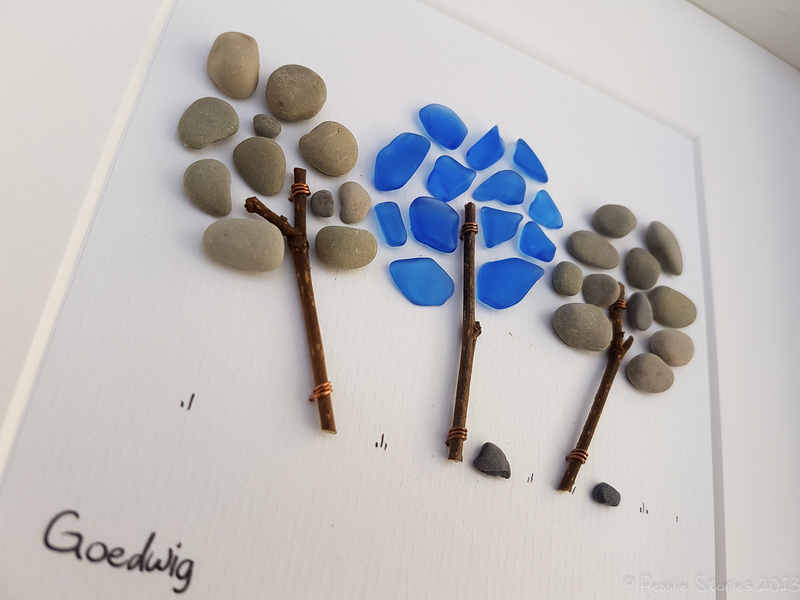 Goedwig, the Welsh word for woodland. A scene inspired by the woodland I see through the window of my studio. 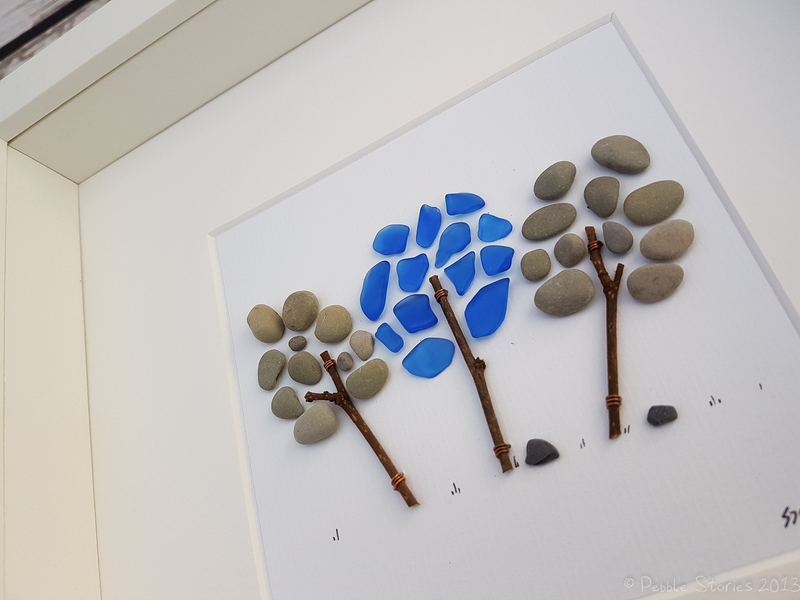 The work is produced pebbles from the Welsh South Coast, Upcycled glass and branches from the very trees that inspire the work. Using natural mixed media, I attempt to capture the spirit of the nature around me. 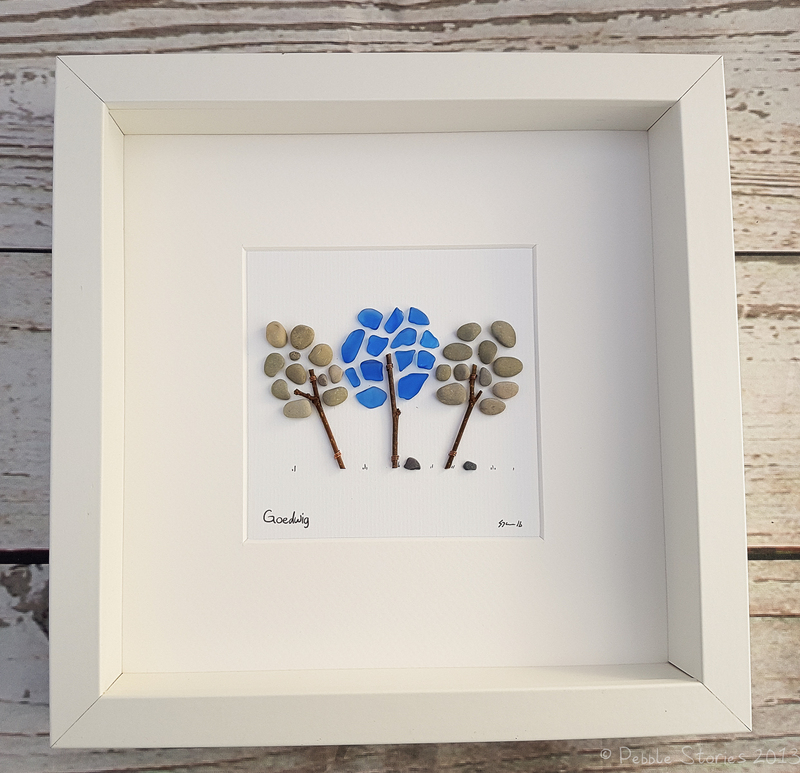 The piece is presented in a white or black 23 cm (9′) x 23 cm (9′) frame.